Home / charity / Do MAMILs dream of electronic shifting? My first road bike (back in the 80’s) had classic down tube gear levers, not only did you dice with death when changing gear at speed but you also had to fettle each change to avoid that annoying clicking when the gear isn’t quite lined up. Shimano then introduced the ‘indexed’ system which allowed accurate gear changes with a single click, no messing around moving a tiny lever minute amounts to get the gear in! 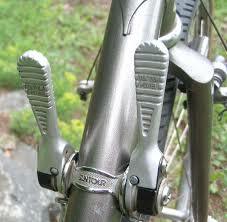 But times move on and now electronic shifting is all the rage. Pro’s ride them so a Tour de France full of bikers can’t be wrong? I do wonder how many mechanicals are blamed on shifter failure, it can’t be that many or too detrimental or I suspect natural selection would kick in and a different solution found. 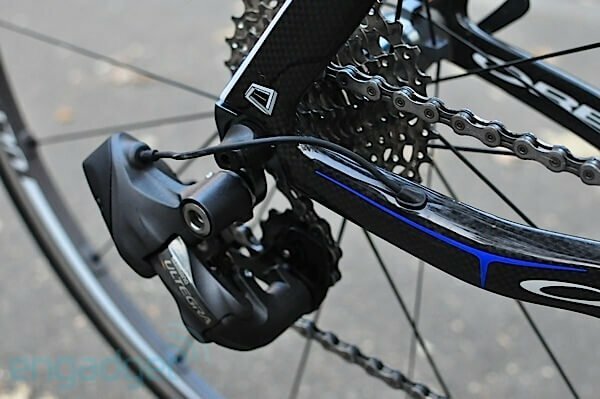 I came across an interesting article on the Cyclist website discussing the future of intelligent shifting based upon data collected from each shift; some predict a world where manual shifting is a thing of the past. As a mediocre rider I remain to be convinced and at this point in time would spend my money on a wheel upgrade to improve my cycling. However, as a technology fan I can’t ignore the ingenious way these shifters work and maybe one lottery win later will see me riding them? This may just be the preserve of racing and sportives, LEJOG riders will probably want to stick with something they can fix at the roadside!